New Delhi: Scientists have developed a new eco-friendly, reusable biosensor that can rapidly detect dengue viruses from blood samples, an advance that may lead to low cost paper-based tests to diagnose the deadly disease at an early stage. 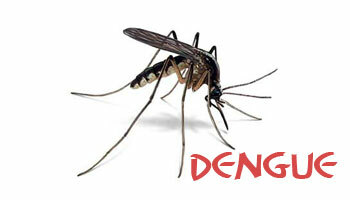 Dengue is endemic in all states and union territories (UTs) of India, according to World Health Organization (WHO). In 2015, a total of 99,913 dengue cases and 220 deaths were reported from across the country. Dengue fever is a severe, flu-like illness that affects infants, young children and adults, and can even lead to deaths. It is transmitted by the bite of a mosquito infected with one of the four dengue virus serotypes. Existing detection methods cannot identify all the four types of dengue viruses. To make an efficient and versatile sensor, scientists from the Amity University in Noida, and Maharshi Dayanand University in Haryana synthesised the biosensor by depositing nanoparticles of zinc oxide, palladium, and platinum on a fluorine-doped tin oxide electrode. They then coated the electrode with a probe DNA of dengue virus and tested its efficiency in detecting dengue viruses. “Two and a half years ago, the northern India – mostly Delhi, Haryana and Uttar Pradesh – was hit by dengue infections. Hospitals, clinics, pathology labs were overloaded with patients,” Jagriti Narang, assistant professor at Amity University, told . “Since there are no vaccines for the infection, the detection at an early stage is necessary to take precautions,” Narang said. “DNA is double stranded – that is they have two strands that are complementary to each other,” Narang said. “We have deposited single stranded DNA (ssDNA) of dengue virus on the electrode. If the patient is suffering from dengue, then its complementary strand will be able to bind the ssDNA on to the surface of electrode,” she said. The electrode is connected to a device that can measure current value. These measurements can tell whether the patient has dengue or not. The biosensor can be regenerated by dipping it in a sodium hydroxide solution for five minutes. After regeneration, it retained its ability to show similar current response when exposed to a target DNA. This device can be used as a lab-on-chip disease diagnosis platform at a point of care for detecting all individual serotypes of dengue virus on a paper-based substrate, researchers said. “We are further working on the development of disposable paper based sensor for the detection of dengue virus,” Narang said. Dengue is the fastest growing mosquito-borne disease across the world today, causing nearly 400 million infections every year. In the last 50 years, dengue has spread from being present in a handful of countries to being endemic in 128 countries; dengue incidence has increased 30-fold in this time period, according to WHO.